40s Victorian Lady Cameo brooche. 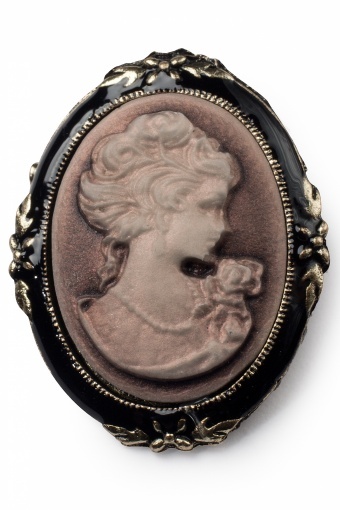 Sooo very vintage this classic cameo brooche! 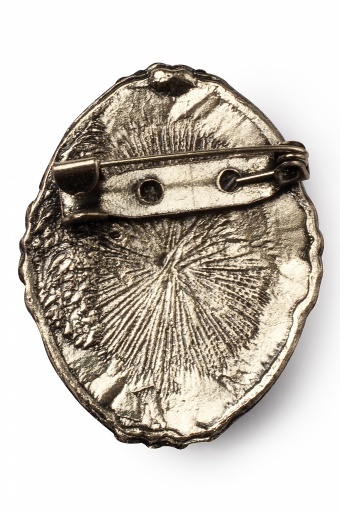 The taupe toned cameo is stunningly detailled and has a very special metalic luster. The brim is enamelled in shiny raven black and decorated with rich gold toned litlle ornaments which give this brooche the ultimate elegant touch.